Feminist Zine Fest Pittsburgh happened at the Irma Freeman Center for Imagination this year on June 17th. Yes, it’s been a few weeks between the fest and this blog post talking about it. To be fair, I was working on KickStarter fulfillment, catching up on deadlines, and getting a new gig or two. It makes sense that a large crowd showed up because it was free to attend. If I remember right, the crowd peaked at around 3:30 or 4 pm. By then the place was packed. It was, more importantly, amazing to see such a large, diverse group of creators, zines, and comics about topics I don’t normally see at any other convention or expo. 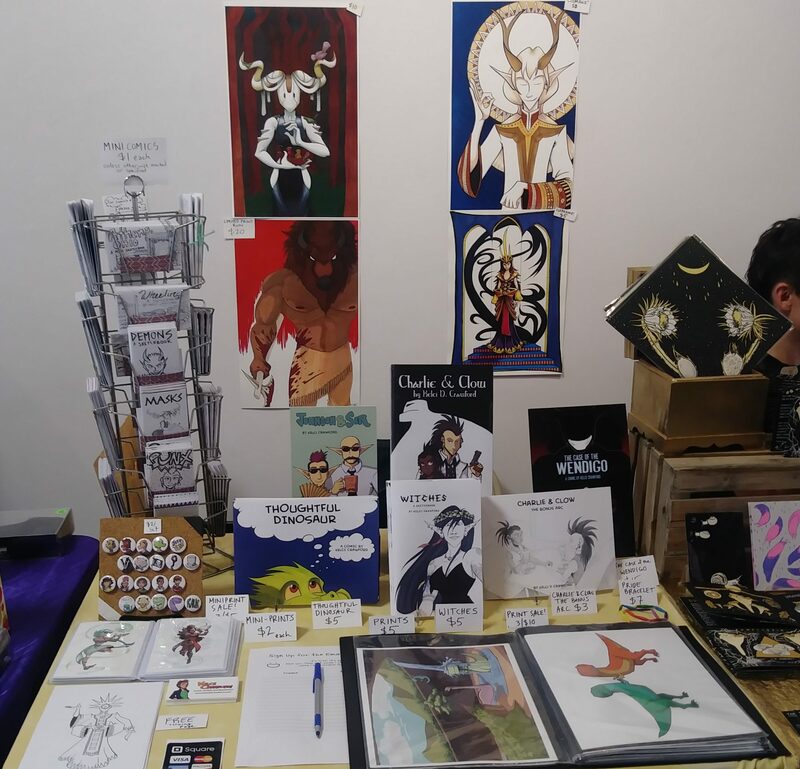 I wish I got pictures, but there were few opportunities to leave my spot (it didn’t help that myself and the other creators in my row were so tightly knit and close to the wall). The exhibitor next to me had an anthology of stories about survivors of sexual assault, and the one next to her was showcasing collections of Doris, a punk in Athens, OH making zines about their life (I LOVE Doris and I’m sad I didn’t get one of those volumes). Another table close by had a zine dedicated entirely to self-care after an abortion (sticky topic, but this IS Feminist Zine Fest. You’re going to come across zines about sexual health). Financially, the expo was a success! I don’t want to get too exact into numbers here (that’s most likely going to be a post for Patrons on Patreon to see). However, I more than made back the cost of printing, gas to get there, and the table fee. 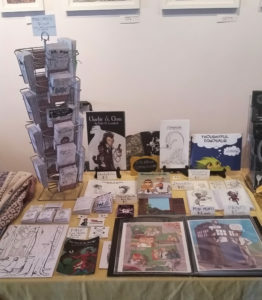 Which reminds me – this year, the table fee for the Feminist Zine Fest was STUPIDLY CHEAP compared to convention tables I’ve paid for so far this year. If you are so inclined, especially if you’re in the Pittsburgh area, I HIGHLY recommend you go next year as an exhibitor. I know I’m going to do my best to! In other news – patrons on Patreon are getting a download of a new zine a full week before it goes on Storenvy. The Case of the Wendigo updated Wednesday, and Validation updated yesterday.